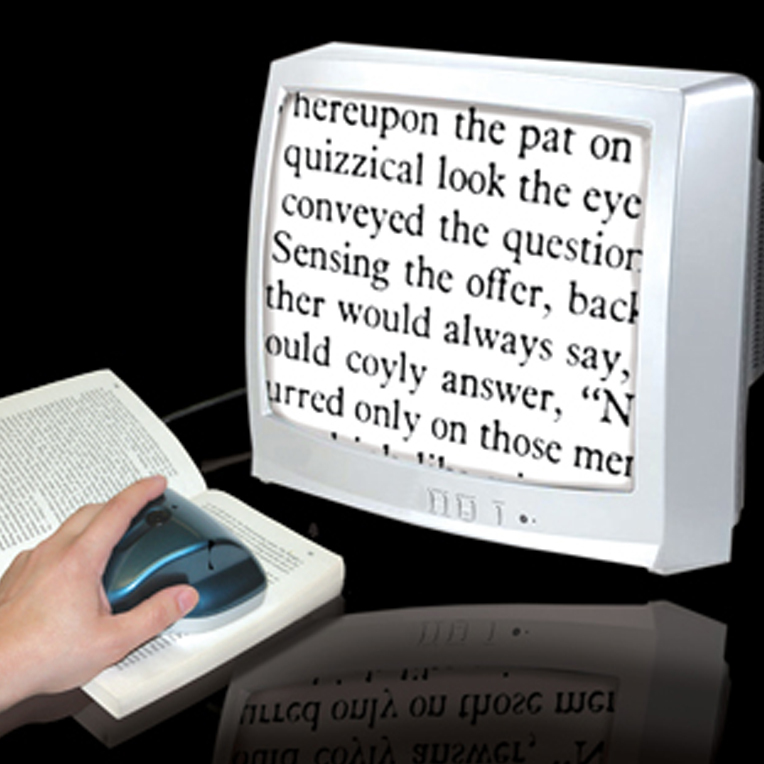 How to read the text of book or magazine, magnified on the television screen? Eye sight problems are increasing every day and few people can’t read papers, books with small letters. To solve this problem, we need to buy a mouse called Wireless Page to TV Magnifier. It is enough to place on the mouse on the paper or book we read and move it. When we move the mouse, the letters appear big on the TV and we can read it. We can increase the text size up to 25 times larger than the original size. The special feature in this is to send the data through wireless network. They also provide AC adaptor and its cost is $130 approximately. « How to keep an eye on home remotely, and watch what is happening over there? | SPY CAMS without investment	» How to operate smart phone using wireless Bluetooth device?